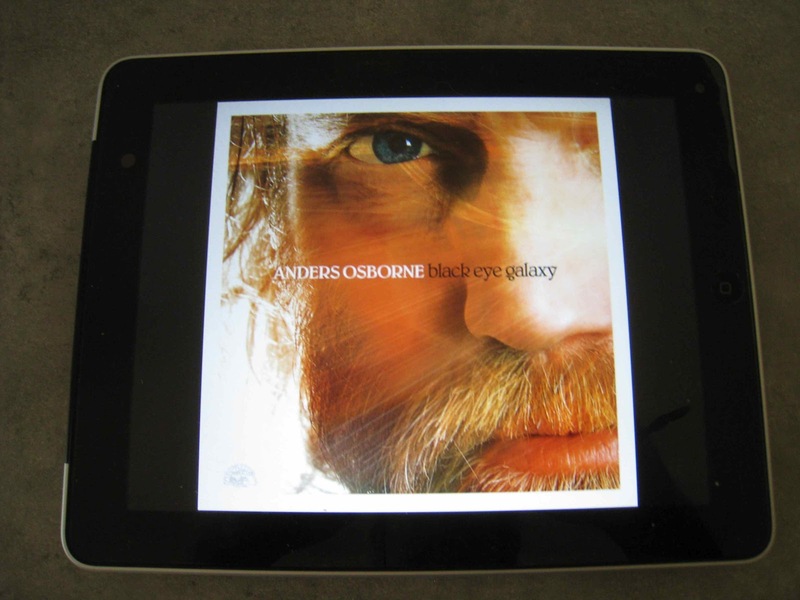 There’s inevitably a point where writing from and about personal experience threatens to tip over into too much information territory, and when confronted with the opening track of Anders Osborne’s latest recording you can’t help thinking things are definitely about to tip in that direction. Send Me A Friend kicks off with a thunderous riff straight out of Led Zeppelin territory, a howl of psychic torture pleading for assistance in the face of addiction. If that’s how he starts the album where does he take it from here? might be an obvious question, but I, for one, was hoping it wouldn’t be more of the same. The prospect of spending a little under an hour faced with pile-driving riffs and tormented wails doesn’t hold much attraction these days, but fortunately Osborne understands the need for light and shade. After that bludgeoning start, the personal experience bit continues through Mind Of A Junkie, seven and a half confessional minutes that threatens to head off into too much information as far as the lyrical content is concerned but sets things up for a lengthy guitar solo that’s a masterpiece of transcendental restraint and verges on the best aspects of Neil Young territory. After the dark on the first two tracks the lighter side of things kicks in on Lean On Me/Believe In You and When Will I See You Again? Two love songs with a sunny West Coast groove that brings the Laurel Canyon troubadour school to mind in much the same way as the previous track invoked Neil Young work nicely as a contrast to what’s gone before and what’s in store. Co-written with Little Feat’s Paul Barrere, a man who’s fought his own inner demons and come through pretty well, Black Tar reads best as another reference to former addiction but works almost as well if you read it as a reference to the notorious BP oil spill in the Gulf. Either way it’s big on Led Zep lurch and thunderously buzzy guitar riffage. After that, there’s an understandable element of winding things back down in eleven and a bit minutes of Black Eye Galaxy, a track that starts off in the same territory as Lean On Me/Believe In You and When Will I See You Again? and then, around the 3:40 mark meanders off into a lengthy solo that has definite elements of late sixties Jerry Garcia. Think Dark Star and you’re in the right postcode and I’d have thought Black Eye Galaxy > Dark Star was a dead giveaway as far as titles and influences go in this instance. There’s a dash of the old Jimi Hendrix 1983 just before the vocals come back for a final chorus. A harmonica intro to Tracking My Roots leads into another folksy effort that looks back to Osborne’s Swedish origin and his subsequent wanderings, a theme that persists through Louisiana Gold and another Osborne-Barrere co-write in Dancing In The Wind sets things up for a strong finish, a sweet acoustic love song that contrasts nicely with much of what has gone before. Co-written with New Orleans pianist Henry Butler Higher Ground closes the album with a gospel testament where the string section owes more to contemporary classical music than the blues or New Orleans tradition. With his daughter and wife singing in a choir of friends and family it closes the song cycle on a note of triumph and personal salvation that could be extended to take in his adopted city’s resilience in the face of the worst the weather, fate and humanity can throw in its direction. Recorded at Dockside Studio in Maurice, Louisiana, and co-produced by Osborne, Galactic drummer Stanton Moore, and engineer Warren Riker, Osborne handles most of the instrumental work with assistance from Moore and Eric Bolivar on drums and percussion, Carl Dufrene (ex-Tab Benoit’s band) on bass and additional guitar from Billy Iuso. Where American Patchwork dealt with Osborne’s past struggles with addiction, Black Eyed Galaxy offers the prospect of recovery and delivers a song cycle that runs from the close to too much information situation in Send Me A Friend to a sense of that’s good, hope he makes it at the end. It’s a journey from addiction to sobriety, dark into light, storm into calm and suggests Osborne is hitting his straps in the writing department alongside his considerable instrumental chops and heartfelt vocals. I’ll be watching eagerly for the next instalment.